Please note goods must be signed for. 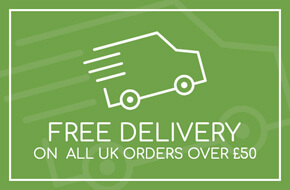 Free delivery covers only the first delivery attempt , subsequent delivery attempts may be charged at £5.00 per attempt. Our normal service is an order placed before 3.00 pm Monday to Friday will be delivered the next working day between 9.00 am to 6.00 pm. If you are not able to sign for the goods please arrange an alternative delivery address i.e. a neighbour or work, thank you for your co operation in this matter but the card processors insist on a delivery signature. Catering Equipment Ltd is a company registered in England and Wales, number 3263793, our vat number is GB687-8278-60. CEL takes the security and privacy of its systems and its customers data very seriously. We constantly review our systems and data to ensure the best possible service to our customers. Parliament has created specific offences for unauthorised actions against computer systems and data. CEL will investigate any such unauthorised actions, with a view to prosecuting and/or taking civil proceedings to recover damages against those responsible. - (b) excludes all liability for loss or damage arising out of or in connection with your use of this website. This includes, without limitation, direct loss, loss of business or profits (whether or not the loss of such profits was foreseeable, arose in the normal course of things or you have advised CEL of the possibility of such potential loss) and indirect, consequential and incidental damages. CEL does not however exclude liability for death or personal injury caused by its negligence. CEL may make changes to the contents of this web site, including to the descriptions and prices of goods and services advertised, at any time and without notice. Personalisation of the site based on user activity and preferences may change the appearance and contents of this web site at any time. Some information on this web site is taken from sources external to CEL or is of a type that changes frequently. In particular, you should confirm off-line the accuracy and currency of information about prices, compensation limits and conditions, delivery times, packaging requirements, posting restrictions and prohibitions and conditions of posting in countries outside the United Kingdom before relying on it. CEL does not necessarily share the opinions expressed or endorse the material appearing in external content published by it on this website. Catering Equipment Ltd's logo is for the exclusive use of our company and can not be copied or used without our permission. CEL may cancel your registration for this web site or any service hosted on it if you breach these terms and conditions or the customer terms and conditions for any service. If you create a link to a page of this web site you do so at your own risk and the exclusions and limitations set out above will apply to your use of this web site by linking to it. CEL does not monitor or review the content of other parties web sites that are linked from this website. Opinions expressed or material appearing on such web sites are not necessarily shared or endorsed by CEL. CEL is not the publisher of such opinions or material. CEL does not warrant that any such software is virus free, without defects, compatible with other software or operating systems or suitable for any specific purpose. We request that customers inform us within seven days in writing to the above address of any shortages or non delivery of items.